Norma Winslow Gabriel holds a BFA in Ballet from the University of Utah and a Master of Fine Arts in Dance Performance from Southern Methodist University. She has performed with Ballet West, the Dallas Ballet, Repertory Dance Company of the Southwest, Dancers Unlimited, Missouri Concert Ballet, and Mid America Dance Company. Since 1984 she has taught at the Alexandra School of Ballet where her courses include ballet, modern dance, and character dance. As Ballet Mistress for the Alexandra Ballet Company since 1986 to the present, Ms. Gabriel rehearses the Company in major productions, as well as restaging works from repertoire and co-choreographing lecture-demonstrations. 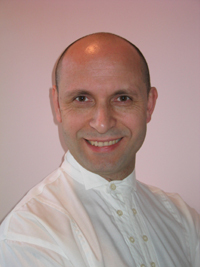 Marek Cholewa is Associate Professor of Dance at Butler University in Indianapolis, Indiana. He obtained his Master’s Degree as Repetiteur and Choreographer in 1982 from the Rimsky-Korsakov State Conservatoire in St. Petersburg, Russia. Prior to that, he studied at the National School of Ballet in Poznan, Poland. He has served as assistant artistic director, master teacher, repetiteur, and choreographer for the National Ballet of Panama. From 1983 to 1985, he was the Dance Advisor for the Latin-American Dance Chapter to the Panamanian Ministry of Culture. As a professional choreographer, Mr. Cholewa’s work has been performed throughout the United States, Central and South America, and Europe. Among his many original works are the ballet-oratorio The Messiah, Simple Symphony, Danzon, and Dreaming with Open Eyes. Marek Cholewa’s areas of special expertise are the full Vagaonova syllabus (Russian Ballet Technique), and XIX century classical ballet repertoire. In a collaboration spanning nearly two decades, he has reconstructed and restaged several ballets for Alexandra Ballet, including Les Sylphides, Giselle, Swan Lake Act II, Le Jardin Animèe (from Le Corsaire), La Fille Mal Gardèe, The Sleeping Beauty, The Firebird, and Coppélia. In 2001, he was made the recipient of an award from the Fulbright Program. As a Fulbright Scholar, Mr. Cholewa traveled to Eastern Europe to research, record, and preserve historical character dances of the region. Petrus Bosman is a native of Capetown, South Africa. In 1959, he began his eighteen-year association with the Royal Ballet at Covent Garden. Under the direction of Sir Frederic Ashton, Bosman partnered the internationally known Merle Park in Les Randezvous, was featured as Katchei in Firebird, and performed in the Florestan Pas de Trios in Sleeping Beauty. Noted for his classical roles in Giselle, Romeo and Juliet, The Nutcracker, and Les Sylphides, Bosman also created the witty character portrayals as the widow Simone in La Fille Mal Garde, an ugly sister (opposite Ashton). During his years in London, Bosman produced a series of charity galas sponsored by members of the Royal Family working closely with Her Royal Heiness Princess Margaret. These glittering theatrical events presented Margot Fonteyn, Rudolph Nureyev, Merle Park, Antoinette Sibley, Ashton, and Bosman himself. Since he retired as a performer, Bosman has taught and choreographed extensively. Petrus is the artistic director of the Virginia School for the Arts and the ballet instructor at Sweet Briar College. His previous teaching positions include Ballet West, National Academy of Arts, University of Illinois, Southwest Regional Ballet Festival, Joffrey Ballet Company, Ballet Met, Birmingham Ballet Company and School, Syracuse, Ballet Theatre, Pittsburgh Ballet Theatre. Bosman will be staging excerpts from Les Patineurs for Alexandra Ballet in 2008. Kennet Oberly's performing career began in 1972 with Germany's famous Stuttgart Ballet, where he worked with one of the greatest choreographic storytellers of our time, John Cranko. Over the next 12 years, Oberly performed with companies such as Houston Ballet, Boston Ballet, Tulsa Ballet Theater, and Tivoli Pantomime Theater in Copenhagen, Denmark. In 1988, he was named Artistic Director of Ballet Iowa after serving as a Resident Choreographer and Ballet Master of Finnish Ballet. His expertise in the ballet technique of 19th century Danish master August Bournonville then took him to Estonia Ballet as Guest Master Teacher for sixth and eight year students of Bournonville training. Oberly later served as Director of the Wolcott Children's Ballet, a non-profit organization in rural Vermont dedicated to offering quality pre-professional dance training to children regardless of financial status. Oberly recently taught for Ballet Met in Columbus, Ohio, and is currently working on independent projects throughout the Midwest. Rich with choreographic credits from Ballet Iowa, Estonia Theater Ballet, and others. Oberly brings his highly regarded work to Alexandra Ballet in 2008, with the Bournonville masterpiece, Konservatoriet. Nikoloz Makhateli graduated from the Tblisi National Ballet School and the Tblisi State Institute of the Arts, receiving his Master's Degree as a teacher, repetiteur and choreographer. He performed as Principal Dancer with the National Theater Opera House in (Soviet) Georgia from 1966-1992, dancing all the leading roles in the classical repertoire and then working as a choreographer and Master Teacher with Maurice Bejart's "Mudra-Afrique" School (Senegal), at the National Ballet School (Nicaragua), and the Kirov (St. Petersburg). Mr. Makhateli combines his international experience and lifelong commitment to the artistry of ballet with his joy of teaching. In the studio, he inspires young dancers as he instructs with care, kindness, a true love of music and dance, and high standards and expectations for his students. Mr. Makhateli's areas of expertise as Ballet Master and Choreographer for the Kirov Ballet in St. Petersburg, Russia included the full Vaganova syllabus, the entire Petipa repertory (learned in St. Petersburg from the Principal Choreographer of the Kirov Ballet Theatre, Oleg Vinogradov); and the 8-year syllabus of classical ballet (including character, pas de deux, music, history of theatre and art). Mr. Makhateli's favorite performance experiences are with The National Theater Opera House in Georgia (Russia). Highlighting his favorites, he was Principal Dancer in the following ballets: Bluebird in SLEEPING BEAUTY, Albrecht in GISELLE, Poet in LES SYLPHIDES, Pas de Trois in SWAN LAKE, Jerome in FLAMES OF PARIS, Solor in LA BAYADERE, Basil in DON QUIXOTE, Prince in THE NUTCRACKER, PAQUITA, Colas in LA FILLE MAL GARDEE, Jean de Brienne in RAYMONDA, FLOWER FESTIVAL AT GENZANO, Franz in COPPELIA, Mengo in LAURENCIA and LE CORSAIRE pas de deux. Mr. Makhateli received the "Order of the Mark of Distinction" from the Republic of Georgia, the highest order of the Georgia Republic. Rebecca Malinski studied with Sandra Kunz, Alumna of Alexandra Ballet in Cape Girardeau, Missouri. Ms. Malinski performed as a soloist and toured nationally with her Company. Later she served as instructor teaching ballet, modern and jazz. She has attended master classes and workshops with Ballet Magnificat! and Sabrina Gidley, among others. Under the guidance of Alexandra Zaharias since 2006, she received extensive training in the school’s syllabus and teaches Pre-Ballet, Beginners and Adult Classes.